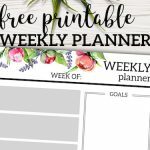 With this weekly planner template free printable we are almost done completing another matching planner set. 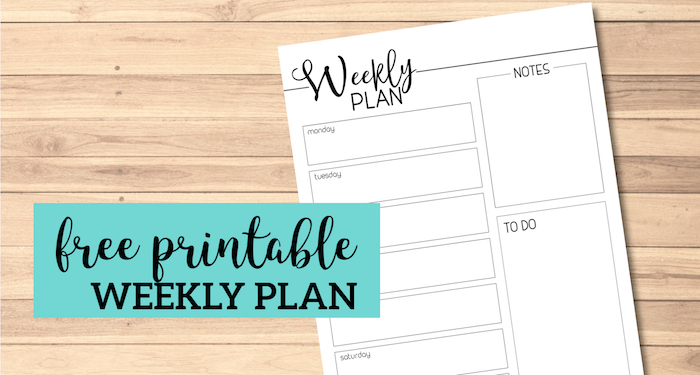 Choose the standard weekly planner or print the planner with a weekly meal plan included to add that organizational element to your weekly planning template. 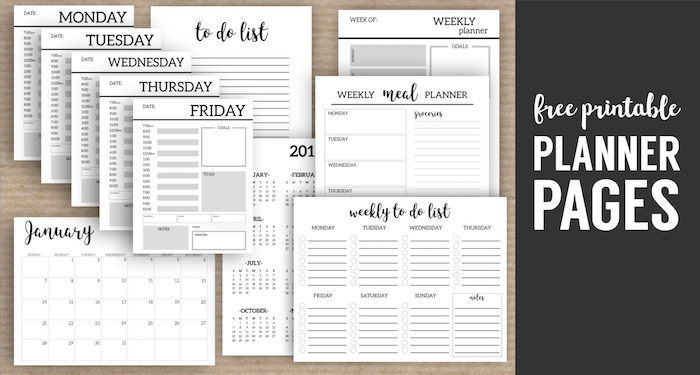 Organize your office or home, appointments, commitments, and/or kids activities. 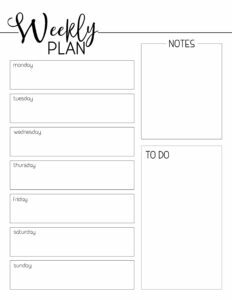 Whatever you need to keep organized, this weekly organizational printable will help you do the job. 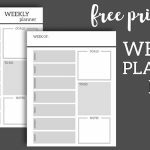 Don’t forget to check out PicMonkey a free trial of their website and you can easily customize these weekly planner template free printable. If you want a little more guidance then check out our tutorial on how to use picmonkey. 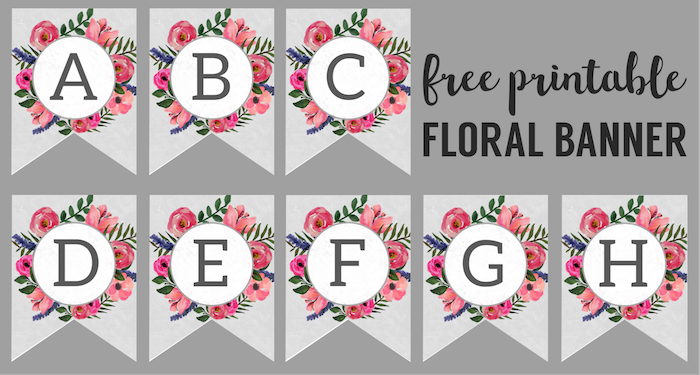 This floral banner is a great way to decorate for any occasion including birthday parties, weddings, and spring decor. 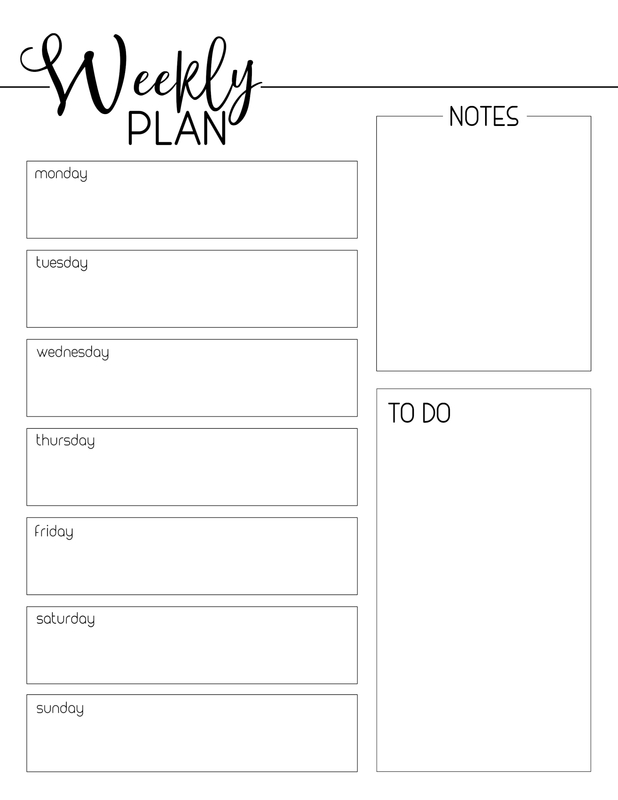 This is our first complete matching planner set available to print.